Social Media & Stereotypes: Do Arabs Hate Americans? We live in an age where it is not just the news media that creates images of the “other” for us. Now we have tools like social media, to perpetuate stereotypes we as communities have created about other communities. The current war being fought in Iraq against the militant Islamic group, Islamic State, has forced the Arab world to once again confront western military intervention in the region. It has also caused them to negotiate between Muslim fraternity and unity, versus the help from the US to fight IS. This complex situation has its roots the first invasion of Iraq after the 9/11 attacks and has generated a stereotype of a monolithic, powerful, oil-hungry west in the mind of the Arab population. Across the world, the stereotyping of Muslims and Arabs has also been very heavy handed in the mainstream media and to borrow from Edward Said, a modern version of Orientalism if you will. They are called barbaric, backward and the religion of Islam is consistently feared and insulted on social media. The Israel-Palestine conflict and the American support for Israel has further compounded the situation and caused Facebook and Twitter to be rife with anti-Semitism from Arabs and Islamophobia from Americans and Jews. Groups can therefore influence conversations on social media, and this power can have negative consequences particularly in developing countries where it helps spread stereotypes in fragile and tense situations. This undermines democracy, democratic exchange and any meaningful exchange between communities. Researchers from Princeton and Harvard analyzed millions of tweets in Arabic, to understand the level of anti-Americanism in the region from 2012 to 2013. They examined Arab reaction to events like Hurricane Sandy, the controversy over the “Innocence of Muslims” hate video, the Boston Marathon Bombing and the deposing of Egyptian President Mohamed Morsi. 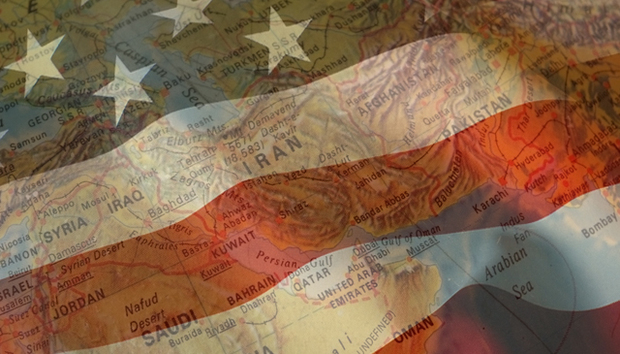 They found that Arabs had an overwhelming negative view of US interventions in the region. Egypt had the lowest stats, with only 4% of tweets being pro-US. Just 3% of the total tweets were pro-American, 23% were neutral and the rest were critical of the United States. Most of the criticism came from people supporting the Muslim Brotherhood and the Egyptian military. Does this provide the answer for the question in the title? Is the hate just a reaction to unwanted intervention? If yes, then there is scope for the US to rehabilitate its image and remove the prevailing stereotype of it being a puppet-master and bringer of destruction. Yet this cannot be achieved just on social media. It has to be achieved in the real world with policy changes that can allow for its image to be that of far away power or benevolence, rather than that of an interfering usurper. Keohane call this the “Arab street” on social media. Twitter reflects a broad group of people and helps monitor public opinion. However, this claim must be taken with a pinch of salt as people who have power agendas, or have given into them are the most vocal on these platforms. A person who is pro-US, or does not hate Muslims, probably won’t post on social media as often. Less controversial news and opinions do not stay on the airwaves for long. This is why the notion of user-generate censorship makes sense, as there are users who are manipulating discussion on the internet to allow for some issues and views to become dominant and others, that might be milder, to be blocked. Hate exists on both sides. According to the FBI, the number of attacks against Arabs and Muslims, as well as others mistaken for them, rose after the 9/11 attacks. One would assume that in an educated and diverse population like that of the US, there would be some thought given to minority groups. But hate crimes rose against people of Middle Eastern decent, from 354 attacks in 2000 to 1,501 attacks in 2001. Among the victims were Hindus, Sikhs and Muslims of non-Arab origins due to sheer ignorance. Yet we all know and accept that all Americans do not hate Muslims. Groups on Facebook keep cropping up, and Facebook keeps shutting them down, though Twitter is not so active in its censorship of hate speech. One of the groups is “I hate Arabs”, with a profile picture that says “Keep Calm and Hate All Arabs.” A lot of the online hate is from the Israeli and Jewish community against Arabs, with a plethora of hate groups against Islam and Palestine. Yet, there are less known groups with larger memberships on Facebook like Arabs for Peace, Israel Loves Palestine and Palestine Loves Israel that are advocating peaceful debate, empathy and political compromise. The problem with hate-speech that gives it such traction is that it can generate real violence, which becomes dominant in the form of mob politics. “Peace” talk has far less obvious means to reach into political power. However, the fact is that the Middle East is deep in conflict, while countries like US and UK who stand peaceful and strong, have made mistakes in the past in their treatment of Palestine, Iraq and Afghanistan. There is bound to be some hate-speech and resistance to their policies and interferences as outsiders. Yet the answer to the question asked in the title must always be ‘No’. We cannot make sweeping generalizations, whether based on analysis of social media users or perceptions in traditional media, and describe the Arab peoples and American peoples with such simplistic statements. But do Arabs love America? The answer is also ‘No’. The Arabs are a complex people spanning two continents and twenty-two countries. From Iraq to Morocco, people speak Arabic and call themselves Arabs. The way Egyptians feel about the US is not the same as how Qataris feels. The West must take into account these facts, and in Arab media, the same considerations need to be given to the western states that are similarly diverse, and often want peace in the Middle East.